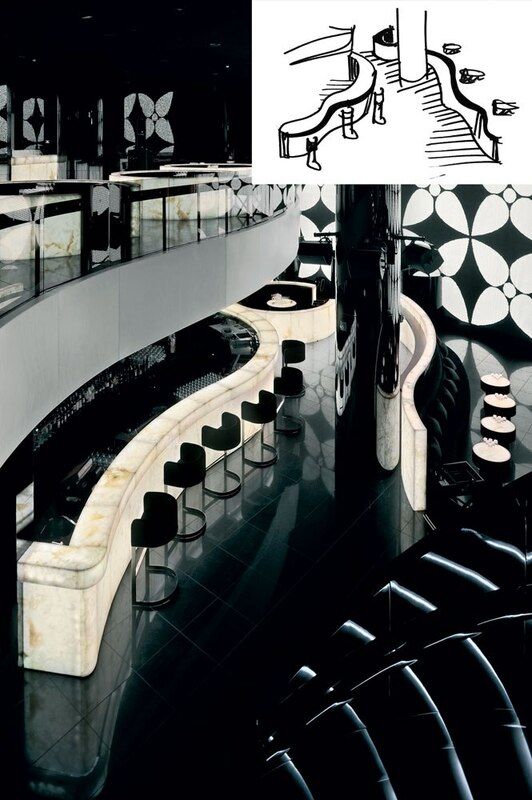 Giorgio Armani’s tailored, clean, modern aesthetic is the consistent thread woven into everything from women’s and men’s clothing to his ever-expanding home and hotel projects. At 84 years old, the legendary designer continues to be the driving force in his design studio, making sure his distinctive sensibility is portrayed in his latest projects, from a building in Beijing to the new Armani/Casa collection. Most often, each idea begins with a sketch. In a rare candid moment, Armani shares his process, vision, and where he feels most at home. Where did you learn to draw like a master? I never actually went to a specialist school, as people tend to do nowadays. I just took the usual art and drawing classes when I was in high school. I had to learn how to sketch clothes on both male and female figures, improvising with a method that I didn’t know. I practiced on croquis [drawings of live models] that Yves Saint Laurent did; at the time they seemed the most lively and original. I learned how to draw with those maquettes [preliminary sketches]. How do sketches play a role in the design process? Often over the course of the day I do a few sketches, either part of clothing or of some other object. My sketches are mostly just guidelines that I then show to my staff, so as to clarify and illustrate my point of view and how I would like things to be done. I admire a great many architects, and all of them have a very strong personal vision. Tadao Ando, who designed Armani/Teatro, is unique in his ability to transform “heavy” materials such as steel and cement into something poetic and exciting; Daniel Libeskind, with whom I collaborated on Century Spire in Manila in the Philippines. My other great points of reference are Frank Lloyd Wright, for the genius he injected into the creation of simple projects which fit perfectly into the landscape and their natural surroundings; Le Corbusier, who still amazes me with his purist architecture and the symbolic power of his buildings; and [interior and furniture designer] Jean-Michel Frank, whose style is also reflected in the decor in my home in Milan. How did you integrate the concept of harmony between humans and the earth in your design of the recently completed Smart Hero project in Beijing? I felt it was important for me to contribute to the development of this complex in Beijing, one of the most dynamic, ever-changing metropolises in the world. 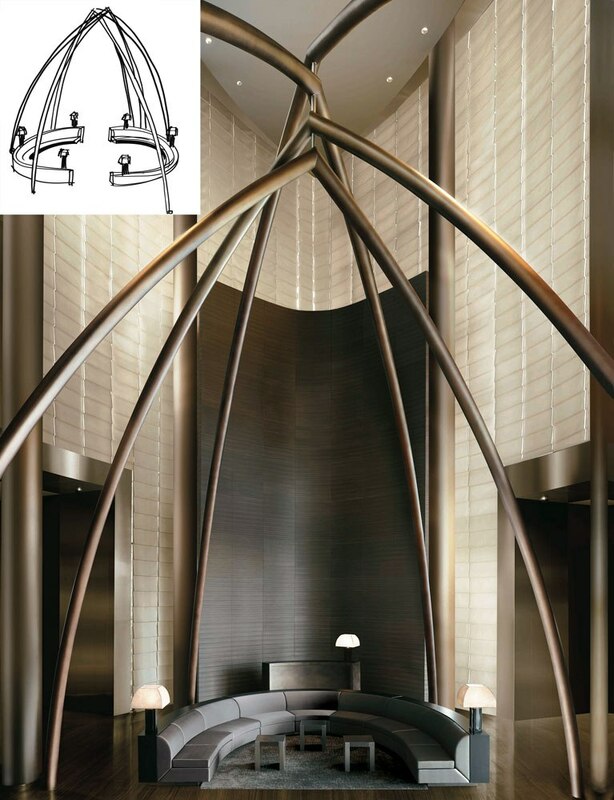 The Chinese concept of harmony between man and nature is very similar to the aesthetic philosophy I have developed for Armani/Casa, which constantly aspires to create a sense of balance within living spaces while also respecting the natural environment they are a part of. The Beijing project allowed me the opportunity to combine my aesthetic with natural materials and forms. 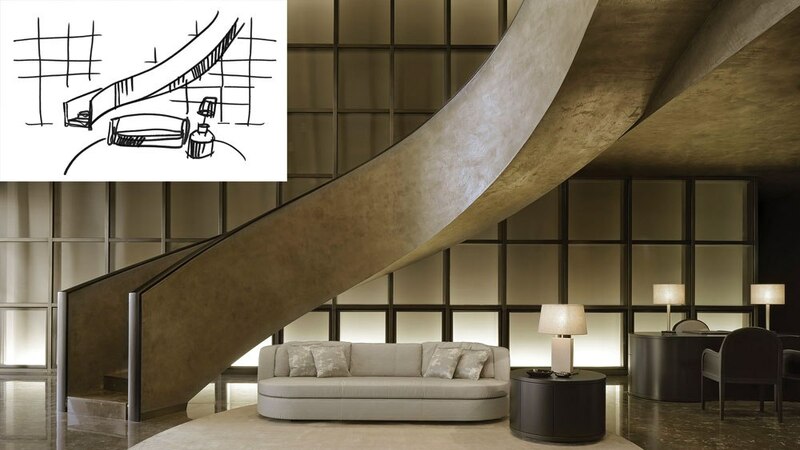 What is the concept behind the new Armani/Casa in Milan? With the new Armani/Casa store, I was looking to convey a way of living and being at home that wasn’t just based on rationality and design, but also on emotion. [I wanted to express] a sense of comfort and serenity, the beauty that springs from the meeting of different cultures, the quality of the materials, everything we want, everything we are, interpreted and reworked to furnish a timeless home that never goes out of style. 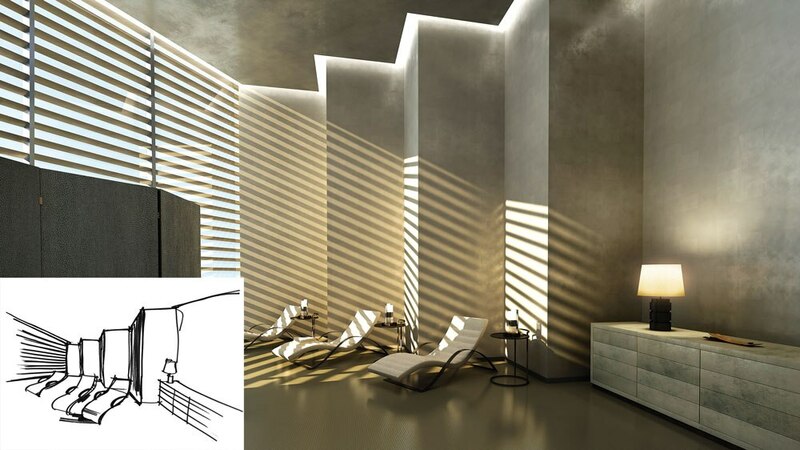 Light is a fundamental element, as it lends a feeling of airiness to the space. In the boutique, natural light enhances the lightness of the materials, creating a warm environment that almost seems to float. Is there a prototype for an Armani/Casa house? There is no precise prototype—just a few rules that are closely linked to my philosophy of living: the sense of space, a harmonious color palette, and soft light that inspires calmness and relaxation. Luxury is the harmonious combination of elegance, uniqueness, and the echoes of different worlds, different cultures. It has to express a sort of sobriety that never gives up, the tastefulness of the finest materials enhanced by the purity of the lines, a harmonious palette of natural colors. What do you suggest when a couple has differing opinions on furnishings? Each should put their ideas on the table and then start taking things away. With furnishings as with all things, less is most certainly more. How do fabrics integrate into your design concepts? Every single element plays a key role. If just one of them is wrong, the balance is thrown off and the aesthetic effect becomes jarring. That’s why I’ve also made room for fabrics in the Armani/Casa collections, always being sure to maintain and find balance between naturalness and sophistication. To get what I want, I work closely with industry experts like Rubelli, and over the past few years I’ve also had the opportunity to rediscover old manual techniques, designed for both fabrics and rugs. How would you make over the White House? I wouldn’t propose an Armani makeover, as I’d find it inappropriate. The White House is a home, yes, but above all it is a symbol, as it is the political epicenter of the whole nation. Why change its essence? Which travel destinations inspire you? I will never tire of the calm atmosphere of the East, nor of its sprawling metropolises, dynamic and full of energy as they are. Where are three places you feel most relaxed and at home? In the peaceful, sunny surroundings of Pantelleria and Antigua, and in Milan. For me “feeling at home” means experiencing that sensation of warmth and tranquility, the feeling of being in a shelter for both body and mind. What would we see if we would ask you to sketch your mood today? I would draw a drawer containing all of the many, many ideas and projects that have yet to be brought to life.